Welcome to Carpenter’s! We have served and supported our community for 170 years because our community has supported us for 170 years. We know you are busy taking care of your family, working, going to school and managing your children's schedules and don't have time to shop out of town. 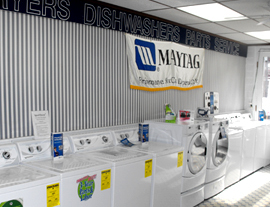 We are a full line, full service old fashioned hardware store and are open for you 7 days a week. We want to be YOUR hardware store! What's new at Carpenter's Paint and Hardware? Apply today for your Synchrony Bank Carpenter's Paint and Hardware credit card. Can be used for any item store-wide. We still have plenty of wood pellets available. 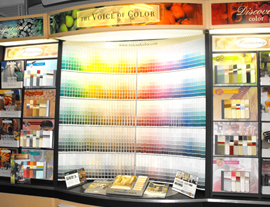 Spruce-up your surroundings with top quality interior paint by Pittsburgh Paints. Save $3 per gallon on all Pure Performance interior paint or $4 per gallon on all Manor Hall interior paint. Buy one chain saw chain at our regular low price and get a second chain at half-price. Our vegetable seeds have arrived from Page Seed Co.
We have seed starter mix, planting trays, peat pots, and window greenhouses. Jump start your garden by starting your plants indoors. Need a contractor for a job around your home?